Jeju is a Southern barrier island of South Korea, on the edge to Japanese territory. As a result of the ideological struggles between the political left and right wings after the independence of Korea from the Japanese colonial reign, the population suffered from excessive massacres. 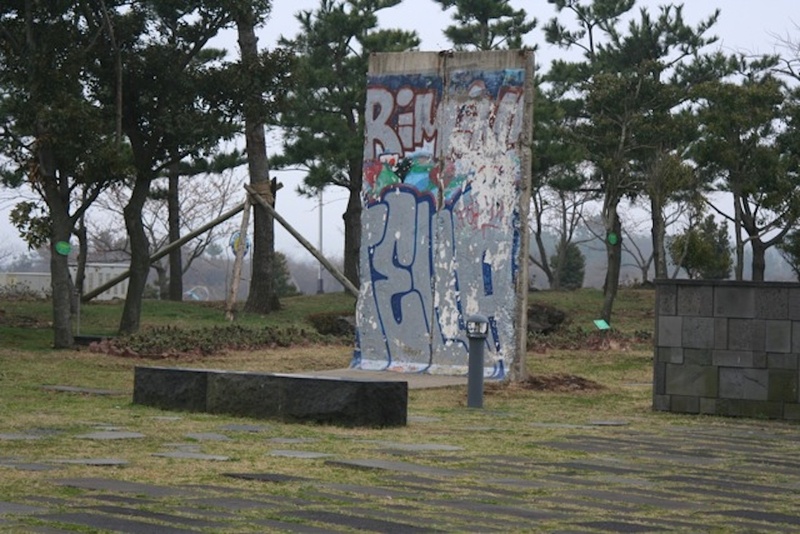 In memory of the victims of 2008, the Jeju April 3rd Peace Park was inaugurated. 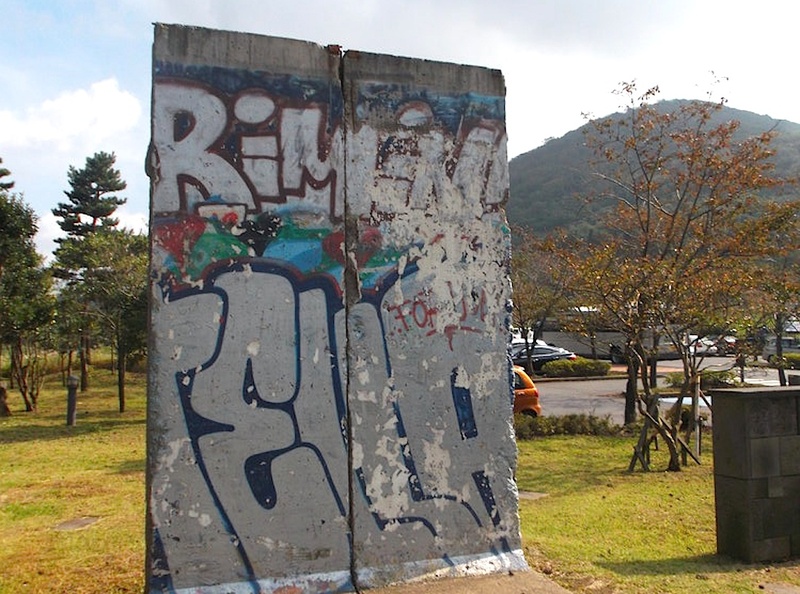 According to the Koreans, this sinister past was a result of the confrontation between the blocks and thus a parallel to the events in Western Europe. 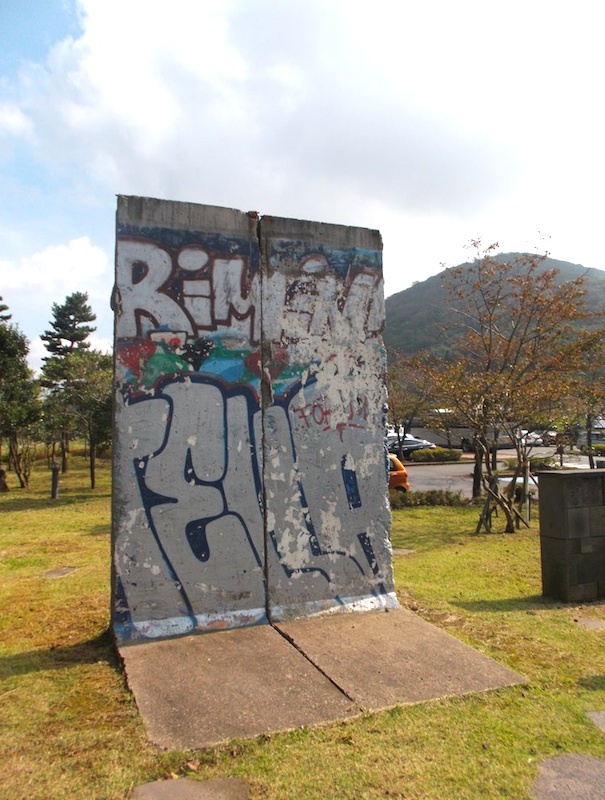 Therefore, efforts have been made to integrate two Wall segments into the peace park. They have been made available by the Berlin Senate in 2007.